What does Tumblr mean to you? I’ve been on Tumblr for about 6 months now and I’m surprised to say that the novelty has yet to wear off. I mainly use the site to keep updated on and entertained by my television and movie fandoms ( [n] The community that surrounds a tv show/movie/book etc. ), and generally let out my inner nerd. From my own personal use, I would have supposed that the site would remain more of an alternative social site, always in the shadows of the more thriving Facebook and Twitter. And yet, despite my suppositions, a Nielsen Co. report finds that Tumblr has gained 183% in popularity from 2010 to 2011. The site averages 21,280 messages and links posted daily. To better understand this figure, understand that it surpasses the number of blogs hosted by WordPress in one month. More than 57% of Tumblr users are under 34 with only 17.5% over 50 years of age. Tumblr uses are more often female (53%)…but not by much. So why has this site gained so much popularity? And does its notably younger user base point toward Tumblr’s continued trend and growth? Technically speaking, Tumblr is a form of microblogging. Microblogging “differs from a traditional blog[ging] in that its content is typically smaller in both actual and aggregate file size. Microblogs ‘allow users to exchange small elements of content such as short sentences, individual images, or video links. '” Other examples of microblogging include Twitter and even Facebook. To me, it is easy to see how Tumblr is more similar to Twitter than to a blog, such as WordPress. For one, people don’t often use Tumblr for longer messages or posts. On Twitter, individuals are actually forcibly limited in their content (140 characters max). As for myself, on Tumblr I often just reblog posts that I find informative, humourous, or interesting; I rarely add unique content to the site. Many times, as with Twitter updates, the content of a post may send the user to a completely separate site. The main focus is not the post itself, but the links or pictures that may lead to another domain. 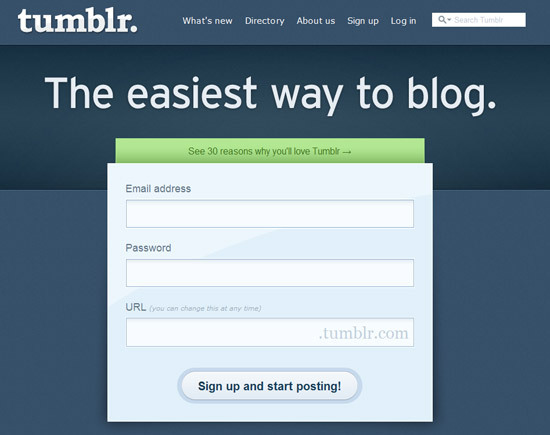 Tumblr emphasizes how easy it is to use the site. And certainly, the directions are as simple as the functions of the site. While some may use Tumblr as a primary blog, I still find the site to be less professional due perhaps in part to its simplicity. By this I mean that I don’t feel that one can accurately learn about me via my Tumblr page, whereas I consider my WordPress blog to be an accurate professional representation of myself (much as some people would consider Facebook to be a personal representation of themselves). There are just fewer opportunities to personalize and declare oneself on Tumblr. But then again, as I mentioned earlier, my primary purpose in having a Tumblr account is to free my inner geek. I also want to clarify that by “less professional” I do not mean that companies and brands are wasting their time on the site. In fact, I feel that Tumblr is a really great way to reach a niche market– whether it be youth in general, or more specific fandoms of certain products and programs. Tumblr is a community in which people are constantly sharing information, even if there isn’t nearly as much direct conversing. It is also a community filled with very opinionated and interested individuals who are purposely seeking information on things that may interest them. In my opinion, Tumblr is a fun site, but not one that I would ever put on a resume. It’s a place for me to relax and learn more about things that I might enjoy outside of a professional environment. I would love to hear more about other people’s opinions on the site. Sound off below or respond to the poll. (Note: the last time I tried a poll it failed miserably. Please prove me wrong and restore my faith in both bloggers and polls). Sometimes I feel like Facebook and I are in some sort of bad relationship. Facebook is crowding me, making me feel claustrophobic, not allowing me to have a life outside of it. Facebook is trying to provide me with everything I need, but rather than finding this convenient, I find it needy and constricting. Everywhere I go, I find sites asking me to sign in via Facebook. But sometimes, I just want to keep things separate. I just want to be able to play my Words with Friends without checking in with Facebook. I feel like screaming at the site: I don’t need your permission to have a good time! Nor do I want to share every single detail about myself with you. I’ve told you my favorite movies and books, my likes and dislikes– isn’t that enough? Must I fan every product I’ve ever used, every actor I’ve ever watched, and every store I’ve ever shopped at? Stop being so pushy about it! The pressure in this relationship is overwhelming. I can’t handle it. Of course, the site’s latest changes include updated friends list, news headlines, and feed subscription. Not to mention the pesky blue corner added to updates that are specifically selected to fit your interest (‘You don’t know me, Facebook!’…the two of us may have to settle this on Maury or something). And worse yet, it’s reported that there are more changes to come. Facebook, don’t go trying to change yourself to fix an already broken relationship. Sure, I don’t visit you nearly as often, but it’s because we’ve grown apart. I’ve found other sites, like Twitter and Tumblr and while I swear their just occasional pastimes, you jealously seems to be getting the best of you. What am I supposed to say? That they mean nothing to me? Why must I feel so much shame for cheating on my social networking site?! Plus, changing everything about yourself, Facebook, just makes me even more hesitant to keep you in my life. I never asked you to get a makeover or change your features, you did that all on your own, so don’t go blaming me when you start losing users. Let me live my life without needing to touch base with you every minute. Sometimes I just don’t want to keep you updated. You don’t need to know everything about what I do or who I see or where I am. Facebook: I think it’s time I started seeing other social networking sites. Once, I felt like I knew you. I felt like we really connected (and that you really helped me stay connected). Now, you feel distant. You puzzle me– with all your new features and confusing ‘aesthetic appeal.’ Weren’t we happy before? What happened to us? 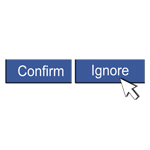 Bottom line, I think Facebook and I might need to change our relationship status to It’s Complicated. Celebrity guests from their wacky group of friends? Give me more. Apparently Denny’s has been reading my mind and, in light of no new Arrested Development movie, they’ve instead enlisted Bateman and Arnett’s comedic stylings for a new social media campaign. 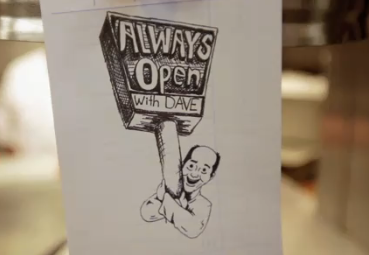 A new web series put on by Denny’s has hit the web: “Always Open.” Playing off the idea of American diners, celebrity guests chat it up with host David Koechner (best known for his roles in Anchorman and The Office) in a local Denny’s as they polish off plates of the restaurant’s meals. Denny’s, in an attempt to connect with the younger generation, hired Bateman and Arnett’s production company, DumbDumb, to write and produce these shorts for online viewers. The hope is to not only connect with the viewers, but to encourage a sense of openness and consumer feedback. And what a group of friends that includes! Upcoming guests are rumoured to include Kristen Bell, Will Forte, Sarah Silverman and, Arnett’s real-life wife, Amy Poehler. The real challenge will come in getting a returning viewership. With short web series such as these, it’s difficult to guarantee that an individual will come back for more. Hopefully, however, with the above list of guest stars already announced, adoring fans will flock to the videos to see their favorite comedians enjoy a Denny’s meal and a little chatter. After having watched the first video, I have a few opinions of my own. I am automatically enchanted by all things Jason Bateman. I love his humour and it definitely worked for the scenario. Host David Koechner is also a fine act, but for me Bateman steals the scene. There’s no real action– it quite literally is just these two individuals sitting down and having a rather comedic (and odd) conversation. I was left wondering how much was improvised and how much was scripted. Denny’s was perfectly placed as the location without over-emphasizing their brand. There is brief mention of the name by the actors, and of course the restaurant is credited for the series, but I think they’ve done a good job of not inundating us with their involvement. This allows the audience to sit back and enjoy the wit, without being weighed down by commercialism. And yet, I never forgot they were in a Dennys. I can personally guarantee them my loyal viewership, due largely to the names that have been attached to the show, but how long will other’s be able to sit through meal-time talk? I’ve embedded the video below and hope to hear some more reactions. What do you think? Am I just blinded by my Jason Bateman and Will Arnett love, or does this mini series have some actual potential? The videos will be launched on both the Denny’s Facebook and College Humor. In a previous post featuring a rather unsuccessful poll, I asked readers about their Oscar viewing habits in terms of social media. What networks would you stay connected to throughout the show? Embodying the very spirit of the social media and award show connection was James Franco, who tweeted away from backstage. Despite a less than stellar performance, he at least did well in documenting behind the scenes footage that was enjoyed by thousands of Twitter users. Other celebrities, such as Mark Ruffalo, Jennifer Hudson, and Franco’s fellow co-host Anne Hathaway took to Twitter as well, but more important were the viewers who hit up social network sites and what they were talking about. Mashable has put together a nice little report of the who, what, and how much from Oscar night. While I’ve featured a couple key/interesting stats in this post, I highly suggestion heading over to the article itself to find out more. In terms of Trending Topics, Tweetbeat’s measurements reported that Inception as the most tweeted about film, followed by The King’s Speech second. Other trending films included Toy Story 3, The Social Network, and The Fighter. The twitterverse was similarly interested in the nominees, with James Franco leading the topic trends. Since Franco’s nomination in January, a reported 58, 197 tweets have mentioned the actor. During the award show itself, Franco received 21,117 mentions. His co-host Anne Hathaway was the second-most tweeted about celebrity, followed by Natalie Portman. During the 24 hour period following the awards show, nearly one million people in the U.S. alone mentioned the word “Oscar” in a status update on Facebook. 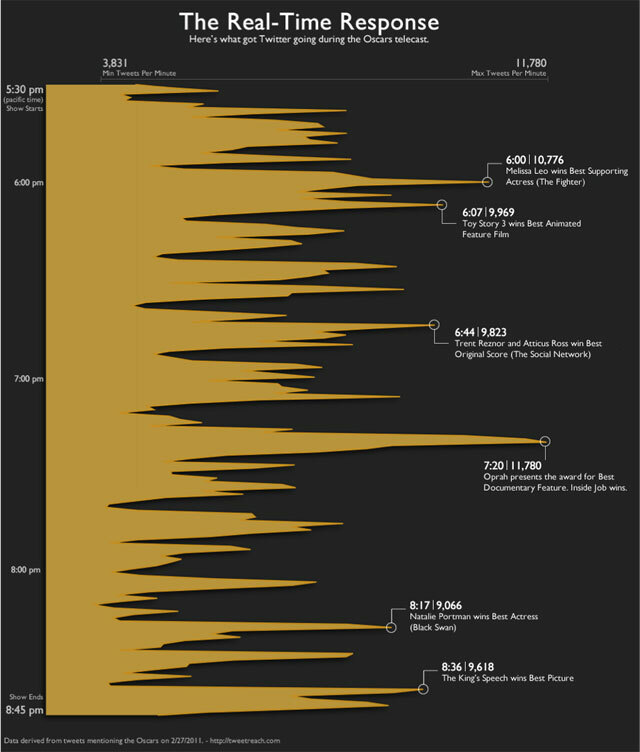 Of all the Oscar topics, The Kings Speech received the most attention with 152,324 mentions throughout the United States. To find out more about the world of the web on Oscar night, check out the full article on Mashable.com. So, how did you stay connected? Did you help make up some of the numbers of these statistics? I know I did. Oscars: tweet, tumble, post or blog? The Academy Awards are tomorrow night and, while it’s no Super Bowl, the show is sure to reach a large audience. For the past few weeks (okay, let’s be serious, knowing my interests it’s more like months) my social networking sites have been ablaze with Oscar commentary and speculation. From Facebook to Twitter to Tumblr to the Blogosphere– everyone has an opinion and loyal followers like myself just can’t get enough of it. Tomorrow night will find my in front of the television with my computer at hand, ready to shush any unnecessary comments from the peanut gallery that is my apartment (I’m ruthless when it comes to these things). I’ll be completely hooked in the Oscars both onscreen and behind the scenes thanks to modern day technology. This got me thinking– how will other people be enjoying the Oscars? What sites will they be using to keep connected, whether they’re watching in real time or not. And so I have introduced my very first blog poll!! This might be an epic failure, but I’m genuinlely curious to find out about the obsessive viewing habits of other social media nerds. So let me know that I’m not the only one!